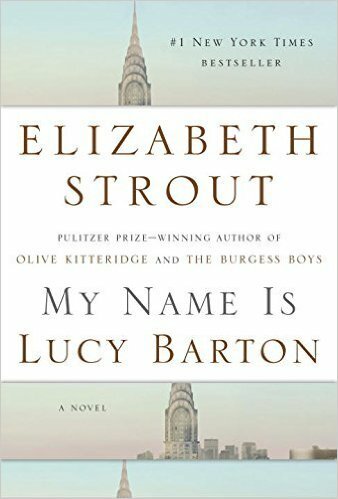 It has been four days since I finished reading My Name is Lucy Barton, by Elizabeth Strout. Having enjoyed the Pulitzer Prize winner, Olive Kitteridge, I picked up this book with great anticipation. It did not disappoint – not in any way. The reason I did not write about this book immediately has to do with the fact that I am still thinking. What is it that keeps a reader mulling over phrases, words, ideas, scenes and aspects about a book for days after the book is shelved? It is most likely a by-product of tremendous skill. What is the technique or turn of phrase that would keep resonating in the reader’s mind? A page-turner will have me gallop through the plot, desperate to find out what happens, and then once all loose ends are resolved, I barely give it a second thought. In fact, those sorts of stories go into a to-be-donated pile. There would be no reason to re-read it, and therefore, I doubt I would even hang on to it any longer than necessary. 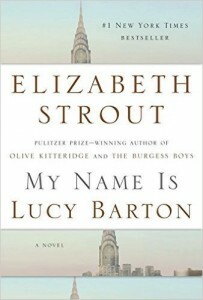 My Name is Lucy Barton could be described as a quiet novel. I applaud Random House, New York for publishing this work because there are legions of people who dislike such stories. Any writer who attends workshops or conferences will hear a great deal of advice about staying away from this style. It is true that it requires a unique skill set to do it well. It has to do with being in the mind of a created character that has sprung to life on the page. Lucy Barton is confined to a hospital bed due to complications from surgery. Her mother, with whom she has had no contact for many years, comes to be with her. It was at the request of Lucy’s husband that she is there, and we learn that right away. So there is tension. Lucy is trapped, and her mother is reluctant. Ordinarily, you would not be able to create a novel around this premise. What keeps the reader engaged is Lucy’s innocence and child-like longing for a response from her mother. My stomach goes into knots reading this exchange. If a terrorist had suddenly burst into the hospital room and shot both of them, the tension would be less in this reader’s imagination. Why would her mother continually behave in such an unloving manner? Perhaps she simply couldn’t, or maybe she was jealous, or maybe that is just who she was, but for whatever reason, I, as the reader, only wanted to close the gap. This is where the story is very unquiet in my mind. Lucy is going to be all right. We know that all along. She says she came from nothing, but she managed to go to college, marry well, raise two daughters and become an accomplished author. We know that she did all this with precious little support- financial or otherwise. She did it all without becoming bitter or hard-nosed. She values kindness and speaks of it often. That makes her heroic in my eyes and makes me think of her as a living entity, long after the pages are shut, and the book takes a well-deserved place on the shelf. 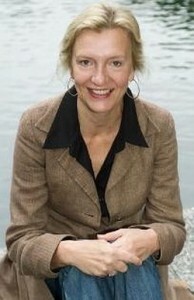 This entry was posted in fiction, Uncategorized and tagged Elizabeth Smythe Brinton, Elizabeth Strout, Olive Kitterage on February 15, 2016 by Elizabeth Smythe Brinton.